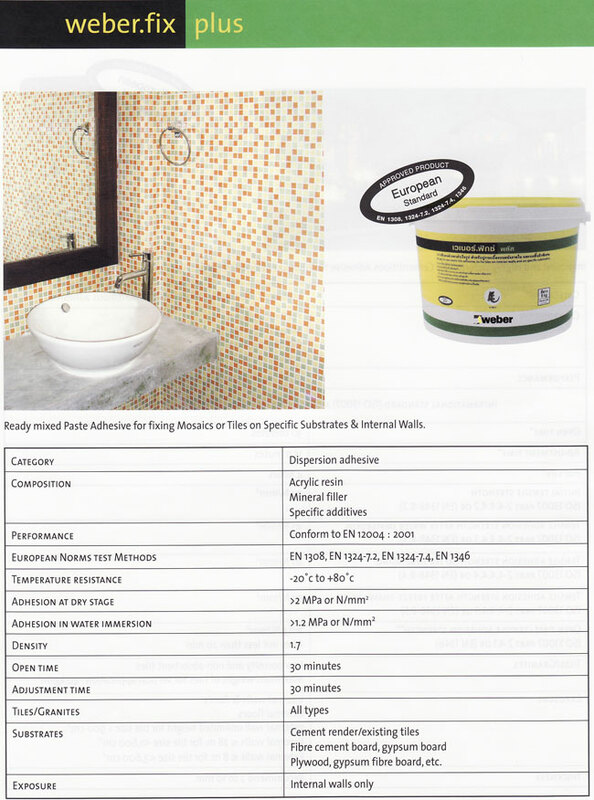 Cementitious adhesive for fixing porous tiles onto cement-based floors and walls. Increase the period of open time. Cementitious adhesive for fixing porous tiles onto cement-based substrates. 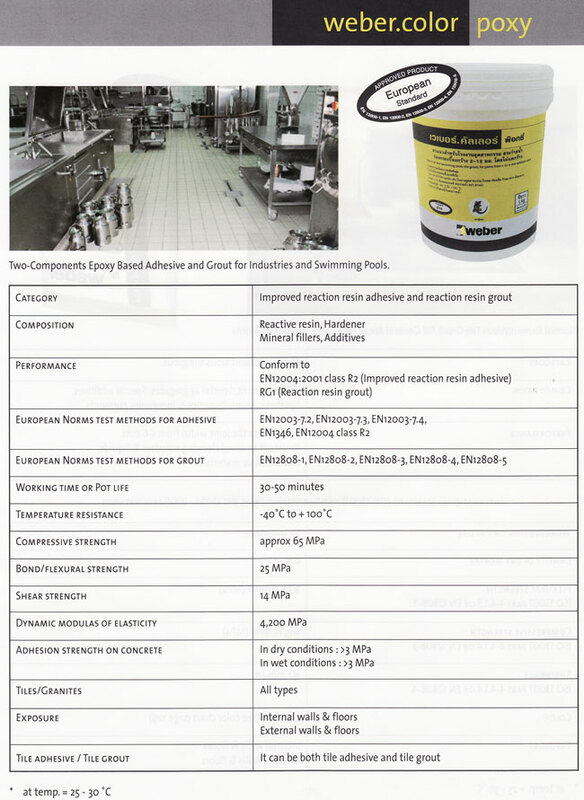 High operation adhesive for fixing low-porous and non-porous tile. Flexible high effectiveness adhesive for fixing all types and sizes of tile onto heavy-traffic area or the area subjected to vibration. Ideal for tiling on exterior wall.
" When Tiling use Cementitious Tile Adhesives and Tile grout Weber brand "
These are projects use the products of Weber. Treetouch Marketing Co.,Ltd. be an agent sell Weber fully set the special price for anyone who contact then inform that contact with come from Internet. at Khun Gong 081-640-3638. *Treetouch Marketing Co.,Ltd. give the suggestion about the products Weber with everyone. Weber is the brand from France. Leader of Cementitious Tile Adhesives business and Mortar. weight 5 Kg., using quantity 2.5 sqm. with bucket 5 Kg. weight bucket 8 Kg., using quantity 4 sqm. weight bucket 25 Kg., using quantity 12.5 sqm. convenient for Tiling and mosaics every kind on special surface and wall area within a building.